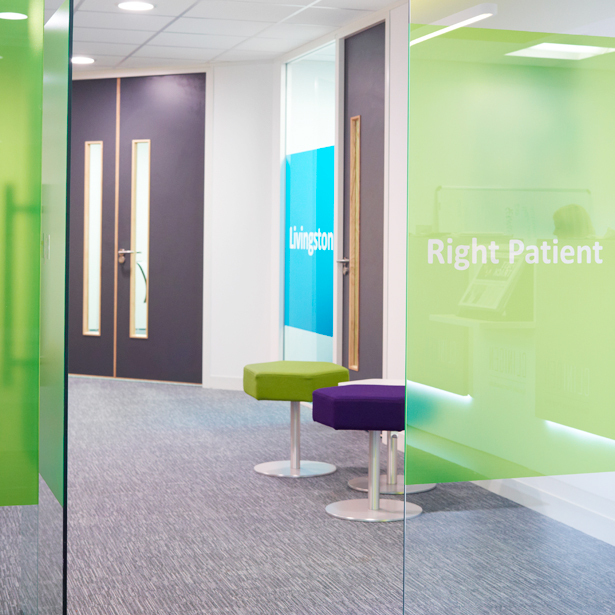 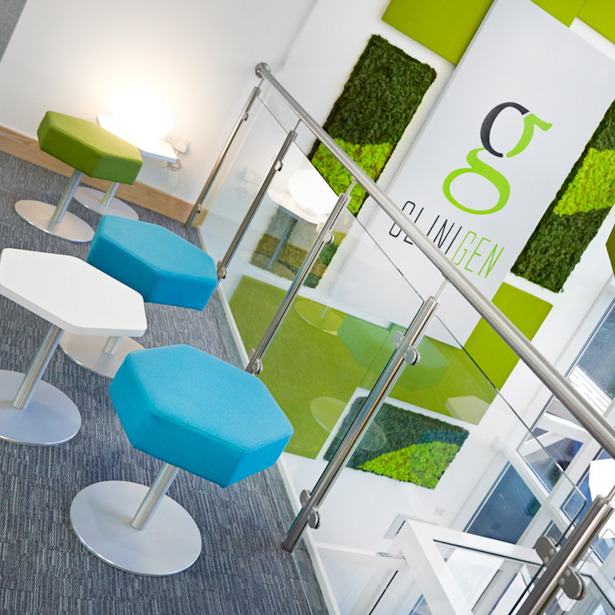 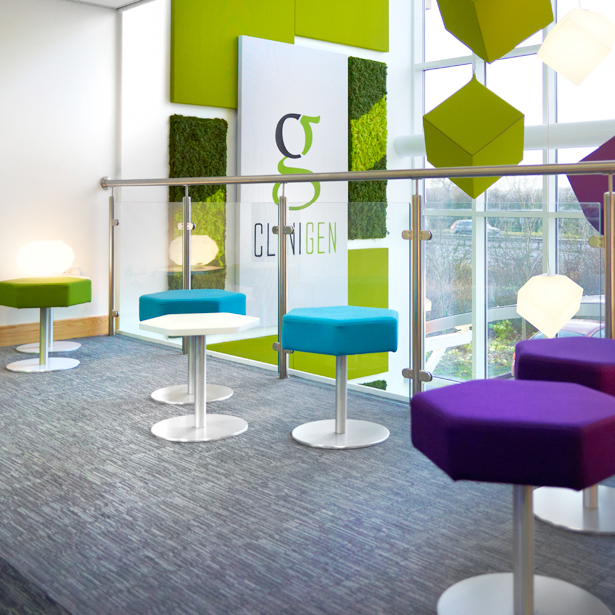 Clinigen Group plc, the specialty global pharmaceuticals and services business, completely refurbished their existing UK offices and increased the floor space by 50%. 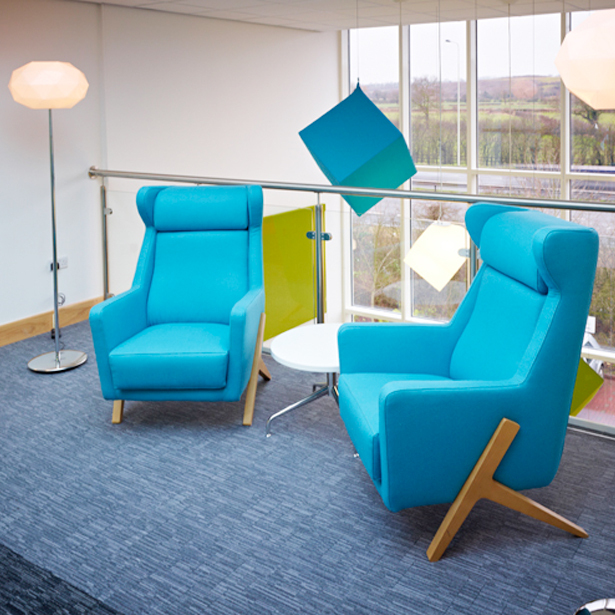 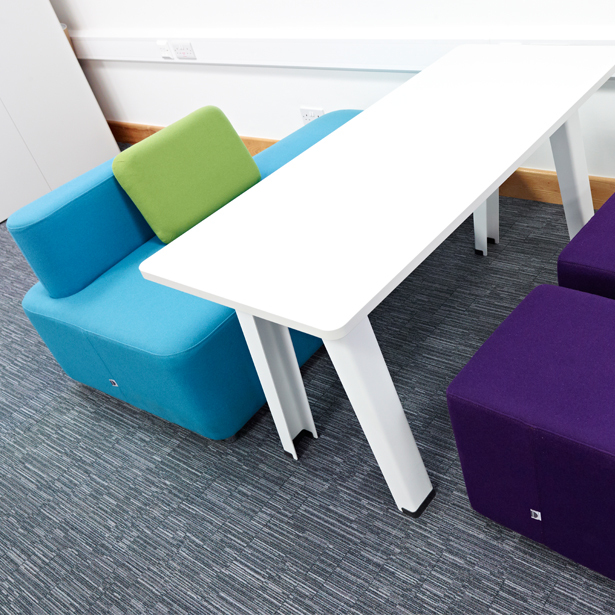 The bold, colourful and fresh design and fit-out, completed by Blueprint Interiors, included a number pieces from our soft seating portfolio. 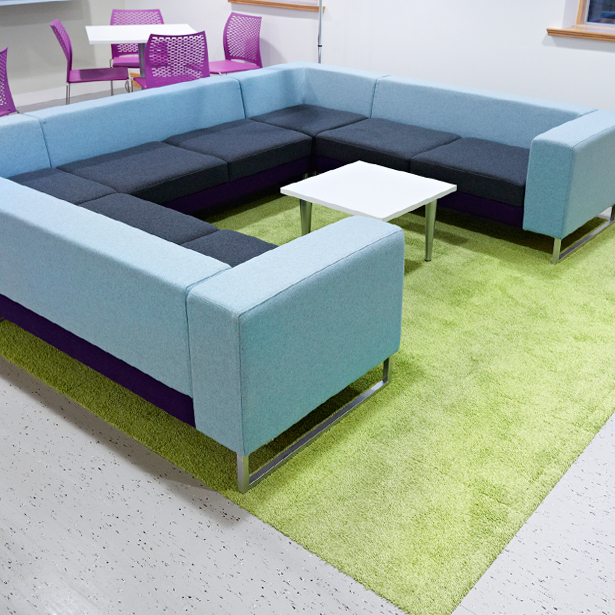 Amongst the pieces used ‘Toraja’ sofas feature in the reception area, whilst ‘Hex’ pedestal stools and tables dotted around to provide casual and breakout seating areas and a large ‘Erno’ arrangement offering a comfortable, homely feel to the kitchen area.